Her biscuits though? Hard as a rock... coffee? Don't even ask! But pork tenderloin? She could knock it out of the park. I still haven't figured out EXACTLY how she made it, because it still never tastes quite the same when I make it... but it's still one of my favorite dishes! When the NC Pork Council emailed me several months ago I was surprised and intrigued. I LOVE supporting local North Carolina products and I was more than happy to be on board with the NC Pork Council as one of their NC bloggers and recipe developers! Pork is a North Carolina tradition. It's especially prominent here in Eastern NC. You'll find pork barbecue restaurants in nearly every town, each with it's own special sauce or way of cooking the pig just right. Another reason I like pork is that many cuts are great in the slow cooker. They can cook for long periods at a low & slow heat and turn out great. It's perfect for someone like me as a commuter who works 40 hours a week. However, this month's product is pork tenderloin. A lean and very tender cut that you probably don't want to put in the slow cooker. As tenderloin cooks fairly quickly and you really don't want to overcook it. It will dry out very fast. 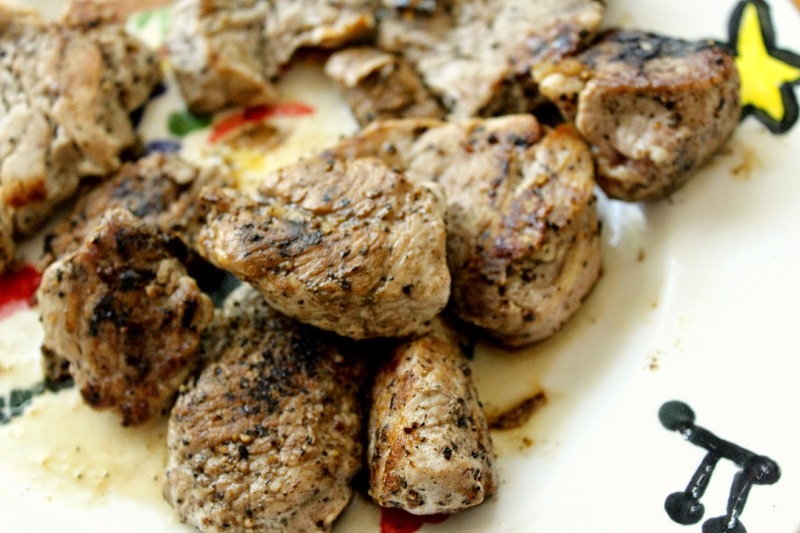 Tenderloin is also great marinated and has a very mild flavor. 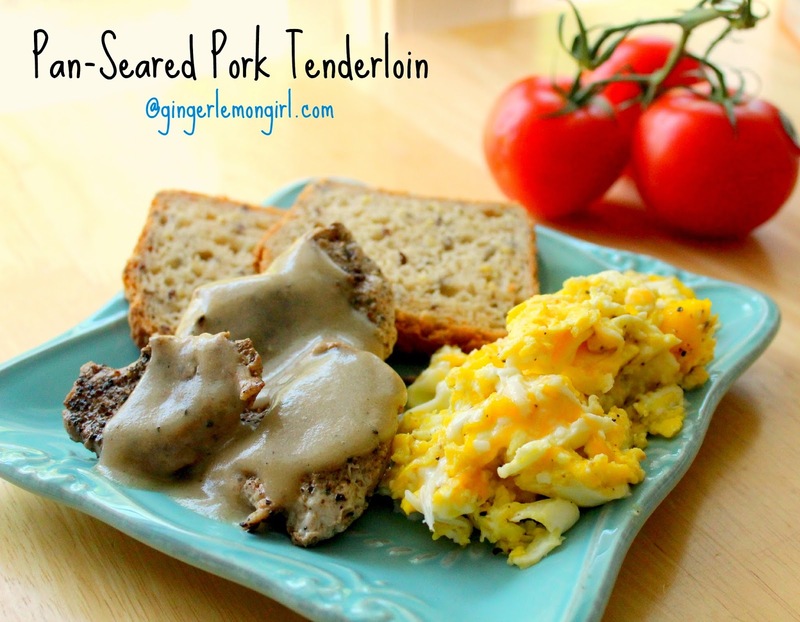 I will be highlighting one pork product per month and creating a gluten-free recipe to go along with it. 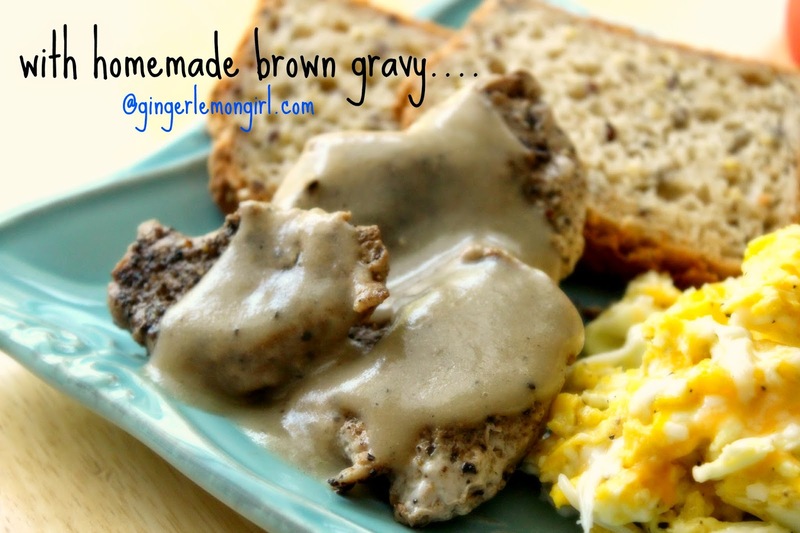 The recipe this month is for simple pan-seared pork tenderloin with homemade brown gravy... almost the way my grandmother made it! I wish I knew EXACTLY how she made it! lol But this is pretty darn close and very tasty. Heat a large cast-iron or heavy-bottomed skillet to medium high heat. Add olive oil or bacon grease and cook until sizzling. Add 4-5 pork medallions to the pan at a time. Add salt & pepper to each medallion and cook for 2-3 minutes on each side, until the pork is richly brown and caramelized and the juices in a medallion run clear. Set cooked tenderloin on an oven-safe plate in a warm oven. Repeat until all medallions are cooked. In the same pan whisk in brown rice flour and cook for several minutes on low heat to cook out the "flour" taste. Slowly whisk in warm water and turn heat up to medium-high. Continue to whisk until gravy thickens and will coat the back of a spoon. When the gravy is thickened as much as you'd like it, stir in Worcestershire sauce and taste to see if it needs additional salt or pepper. TO finish the gravy you can also stir in 1 tablespoon of butter or additional olive oil to give the gravy a velvety consistency. Serve pork tenderloin medallions and gravy while hot with gluten-free toast scrambled eggs, and slices of fresh tomatoes. This post is part of a new monthly series featuring local NC pork products sponsored by the North Carolina Pork Council. The NC Pork Council provided me with a gift certificate to purchase pork products and create a recipe to share. The opinions and photography in this post are completely my own. Also, if you don't want gravy, cooking up the scrambled eggs in the tenderloin drippings is delicious!